A bitterly cold wind blew through Hartlepool this afternoon. Head down, bent double, Scott of the Antarctic surely didn't encounter conditions such as these. The Park Inn came into view, a welcome sight if ever there was one. Frank Loesser's Brotherhood of Man opened the programme with ace trumpeters Kevin Eland and Bill Watson laying down early markers. 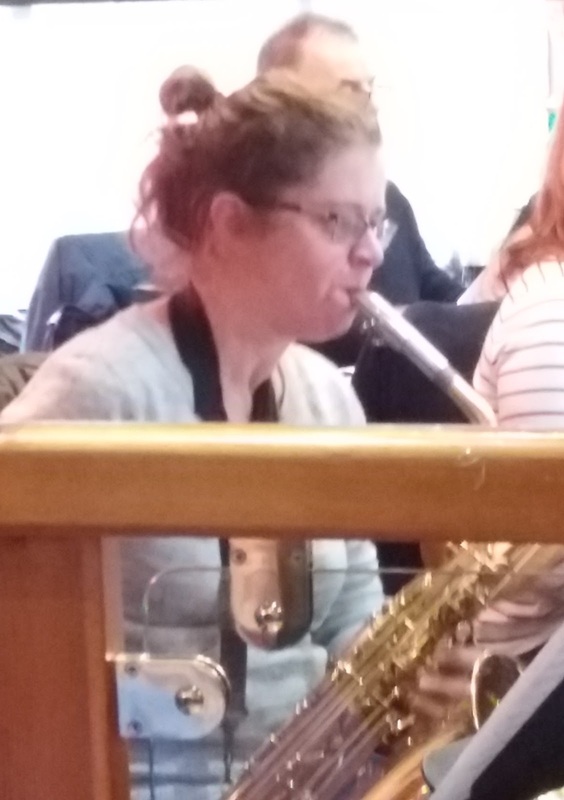 Teesside's premier big band had a number of big hitters in the ranks with all sections sounding just fine as several featured soloists stepped up to the plate. It had been a while since Bebop Spoken Here had caught up with Mick Donnelly's outfit and on this Sunday afternoon a new name - new to BSH - made a big impression. 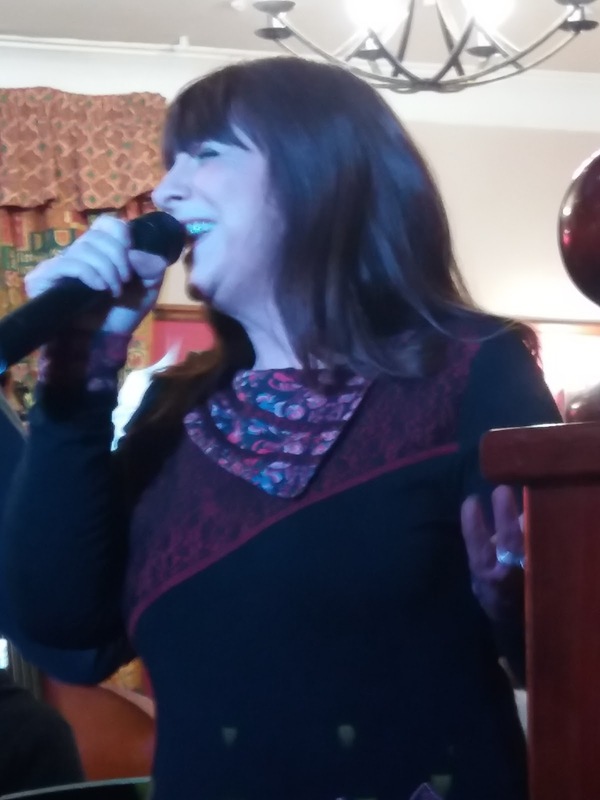 Vocalist Jan Spencelayh sang Don't Know Why. A lower register, measured delivery, Jan is one to hear again, that's for sure! MD Donnelly leafed through the pad (seemingly several hundred numbers in a well-thumbed book!) and plucked out Gershwin - Someone to Watch Over Me featuring our talented vocalist - and a couple from Cole Porter - My Heart Belongs to Daddy and You Do Something to Me - Jan featuring once more, with Mark Toomey, playing clarinet, sharing the limelight on the latter. 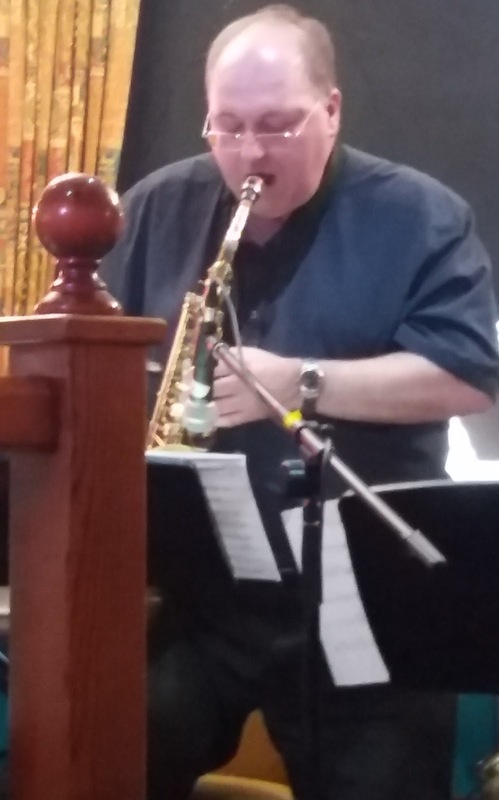 Bill Watson impressed, as did 'bone man Keith Norris, on the second set opener Jersey Bounce (a war-time smash hit for Benny Goodman). Old Devil Moon sang Jan - great stuff! 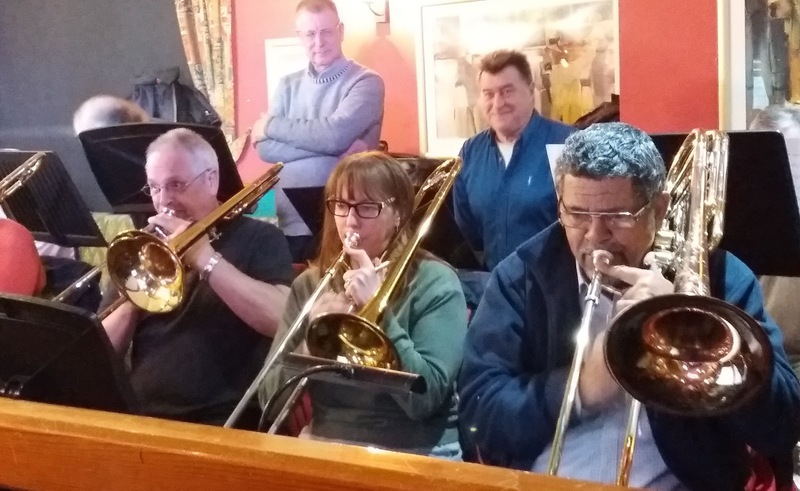 - followed by some serious blowing on High Maintenance as Mick Shoulder swapped bull fiddle for electric bass, Toomey and Watson once more caught the ear as Sue Ferris, baritone sax, and Peter Morgan, bass trombone, charted a safe passage through Gordon Goodwin's turbulent big band number. And that was about it, but not quite. MD Mick Donnelly remarked that it had been about a year since the band last played One O'clock Jump. This was terrific stuff, it had been worth the wait! The Park Inn, Hartlepool, Sundays, one o'clock, Musicians Unlimited...it all adds up to a canny day out. Followed Mick for years.We are fortunate in having this band in Hartlepool.Only jazz available unfortunately.